Travel Expanses Or Vehicle Expenses– ATO (Australian Taxation Office) having some of the special conditions that decided that you can claim the expenses for the trips between home and work or between workplaces. Such conditions may not be as straight as it seems. So, before going for that, be sure you would have collected the relevant information regarding the same. Laundry, Clothing And Dry-Cleaning– When you make purchase related to occupation, work uniforms or protective clothing, you can claim the money you have spent and also the maintenance cost of the cloths can also be claimed. 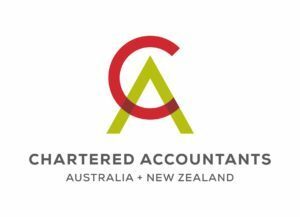 Gifts and Donations- If you have done any charity, then you are lucky to have the ATO’s deductible gift recipient status and can be able to claim for the gifts donated. The claims can be made for anything like money or financial assets, shares or even property. You would get back the donated money more than $2. Home Office Expenses– Equipments and tools like furniture, computers and phones used for work purposes can be claimed as per ATO. You can also claim the costs incurred from the home office like lighting, heating, repair work and cleaning. You can claim only the cost used for the work related things. Investment Income, Deductions-The interest payments on the savings, dividends from the investments in rental payments, shares of the investment property or to any of the type of investment income can be received. You can claim the production cost for same. For example interest charged and account keeping fees or money spent on buying stocks or rental property is claimable income. Educating Himself- When you enroll for the eligible educational courses or studying related to your work, and then the amount spend on the same can be counted as the claimable deduction. You can check the ATO site for the terms and conditions you need to follow while claiming for the same. 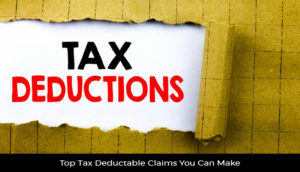 Industry Related Deductions– Some of the occupations are there that are having some specific circumstances compared to others, especially when the talk is related to getting claims for tax deductions. The ATO have made the list of such occupation and one can check the same at the website and claim accordingly which is suitable for the job. Also, always keep the records of lodging the tax returns. Keep in records is also necessary as ATO can ask you for the same at the time of claiming tax deductions.